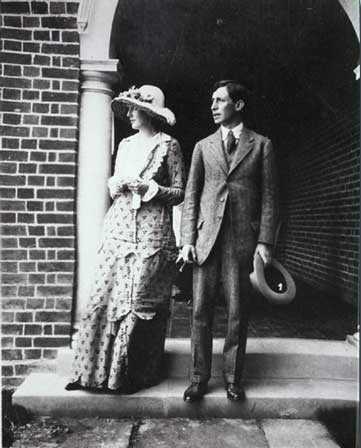 Leonard Woolf and Virginia Stephen, 23 July 1912 (modern print). Virginia Stephen married Leonard Woolf on 10 August 1912 at St Pancras Central Register Office (the same Office where Sylvia Plath married Ted Hughes on Bloomsday in 1956). This photograph was taken at Dalingridge Place, the Sussex home of Virginias half-brother George Duckworth, where Virginia recovered from a suicide attempt in 1913.